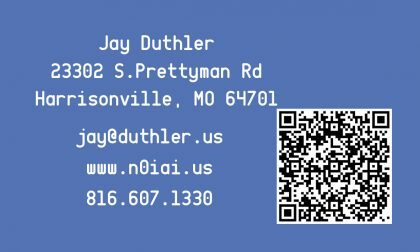 On the heals of the my QSL card creation experience I spent an evening putting together a Ham business card, aka a Eyeball QSL card. 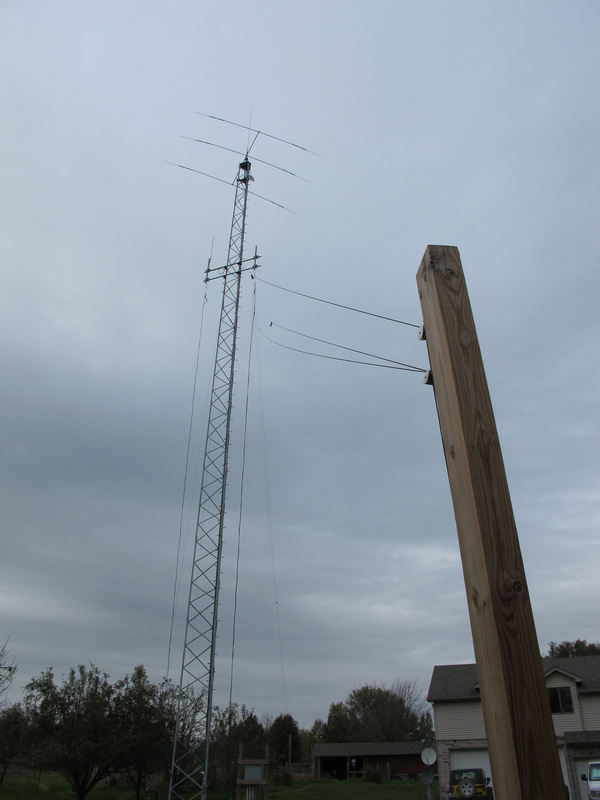 I have received these from fellow hams at hamfests and other social events and looking around at the ready made versions available in the marketplace decided to build a custom layout in Photoshop. The layout is simple using a background image and callsign on the front and my contact specifics on the reverse. 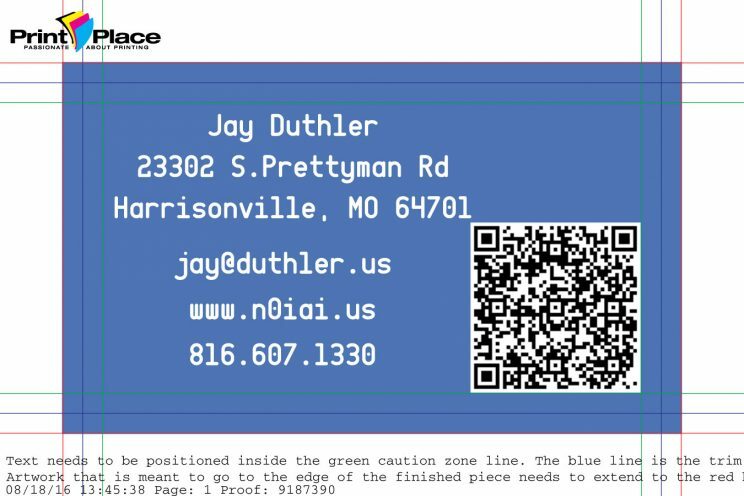 I have used a QR code containing my name, phone number email just the critical stuff on my business cards for many years wanted to do the same. The codes are very easy to create and include and enable the receiver of the card a quick and easy method of entering the info using one of the many smartphone scanning apps available. These are very easy to create, the best practice is less is better as the less dense images are easier for the phone application to scan. Many sites are available to encode your contact information, of the available sites for encoding I prefer goqr.me. Similar to the fullsize QSL card process the ordering process is simple. There may be some slight process changes within the providers. The vendor I prefer Print Place uses a simple process and from a review of other suppliers a typical process. Choose your order options, submit your artwork via a web portal and place your order. Your order is placed in a holding pending review state. Within a few minutes a proof is received via email or the suppliers portal. You review the proof, revise and resubmit as needed. And once satisfied you approve the proof and the order is released for printing. 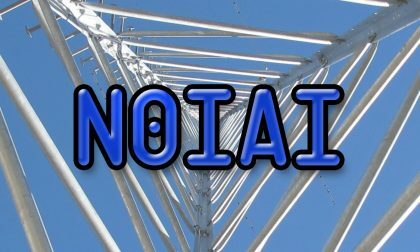 Unable to find a clean Eyeball QSL card template I created one from scratch and have placed it on GitHub at the link below. Unfamiliar with GitHub and the Open Source movement learn more at https://github.com/open-source. 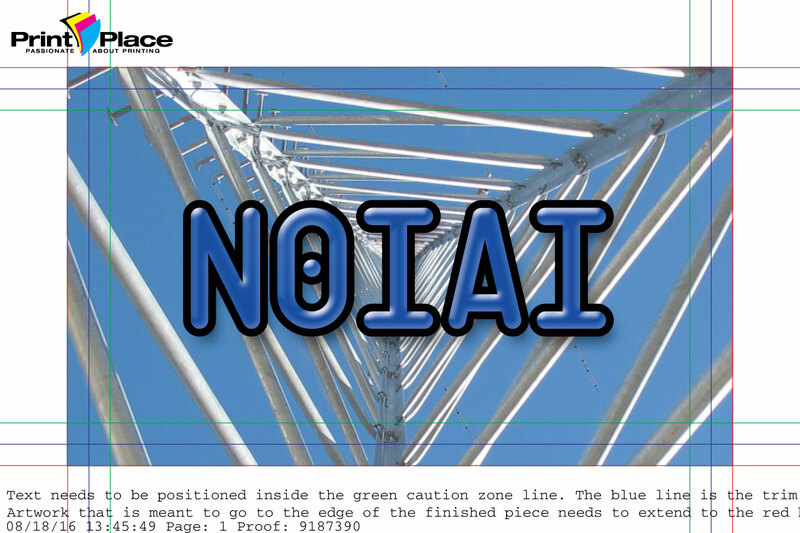 Submitted front artwork with margins hidden. Submitted back artwork with margins hidden. Once I submitted my order the following proofs were received, reviewed and approved.